FREE SHIPPING IN THE PHILIPPINES!!! NATIONWIDE!!! 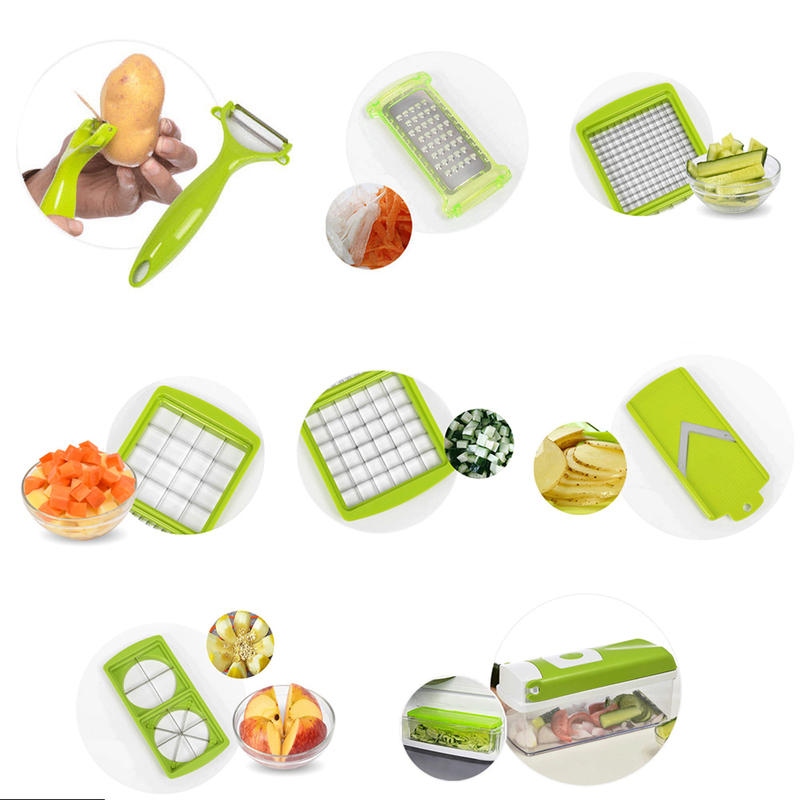 Slicing and dicing could never be easier. With the function of five kinds of cutter blades. Fruits and vegetables can be sliced into different shapes. The hands would not get hurt by using safe handle. 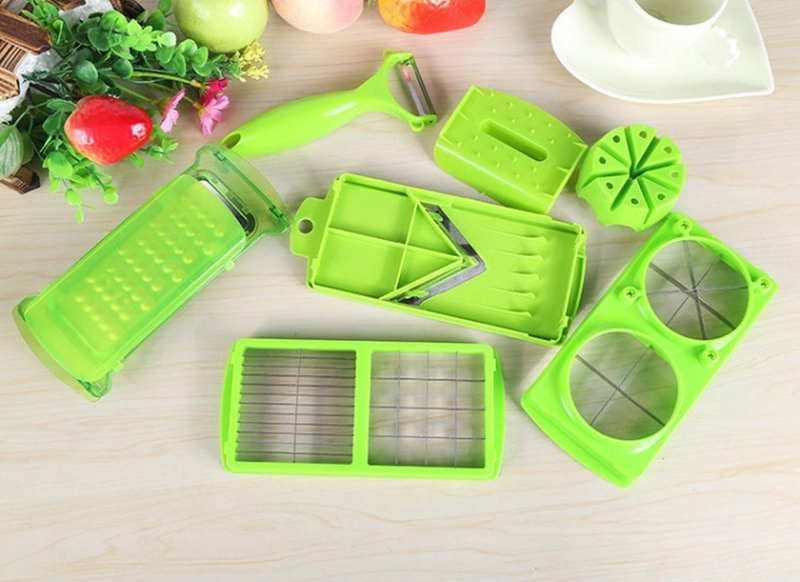 It has 5 interchangeable sharp blades and comes with a holder for them as well. It also has a strong hand protectorand finger guard that keeps your fingers safe from harm at all times. Veggies also fall right in to the container so that you can even store them in there. Intelligent State of the art design and so easy to both use and clean. 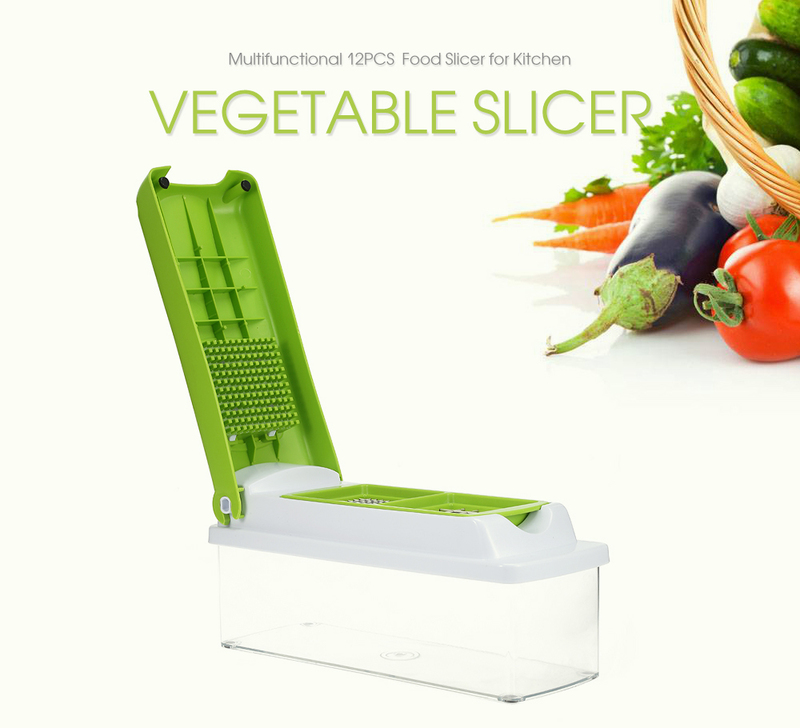 Can be used to slice brocolli & olives, dice green peppers and onions - it works so well & quickly. its super easy to change the different blades and super easy to clean as well! Its small and ergonomical does not take up a lot of space in your cabinet!! It will make your life so much easier! 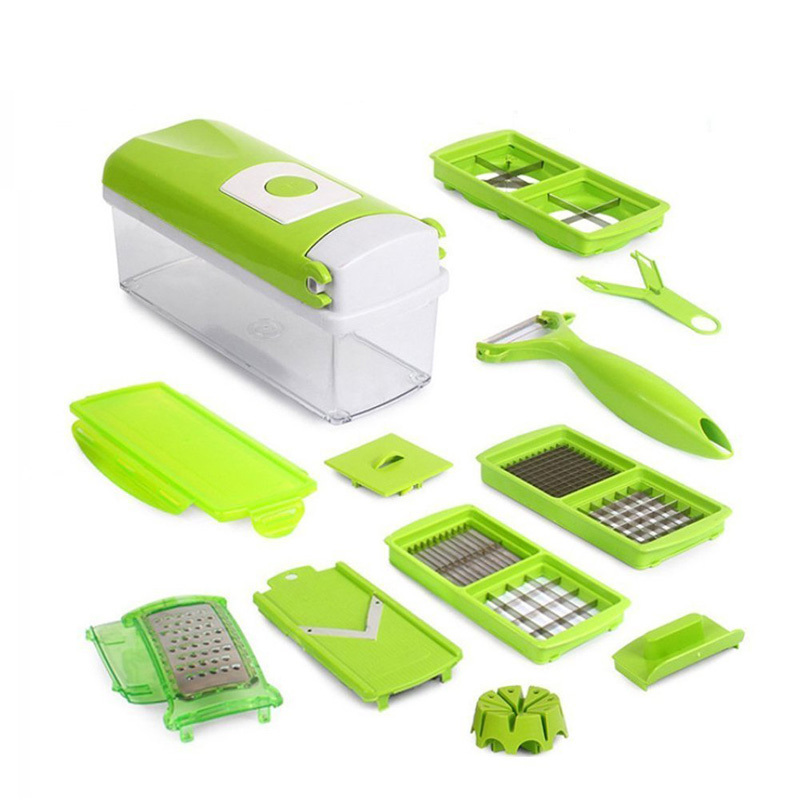 Superior quality food-grade ABS plastic, BPA-free; 5 ultra sharp premium stainless steel blades, not to rust or lose sharpness as time goes on. 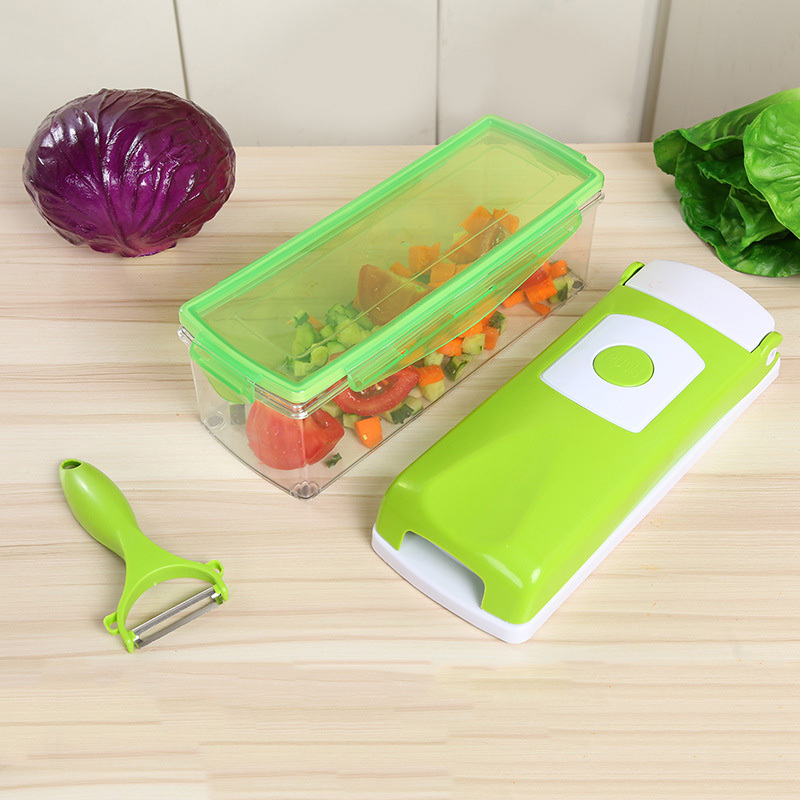 SAVE YOUR TIME:Very easy to set up, cut or slice wherever you need and clean the slicer is also very easy. 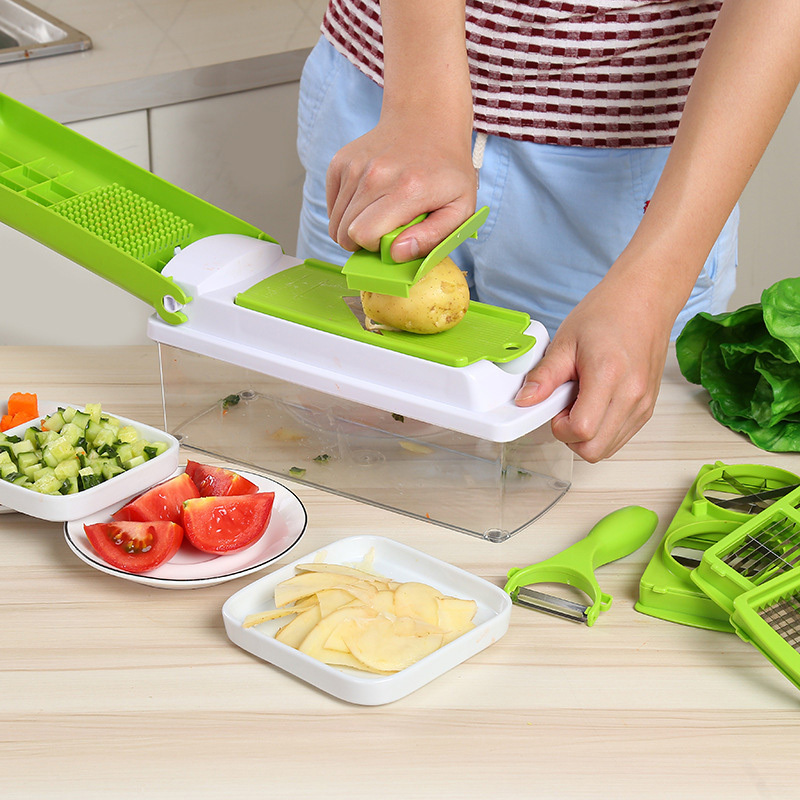 Vegetables slicer is sharp and it is possible to cut vegetables for the salad or main dish quickly and without difficulty. 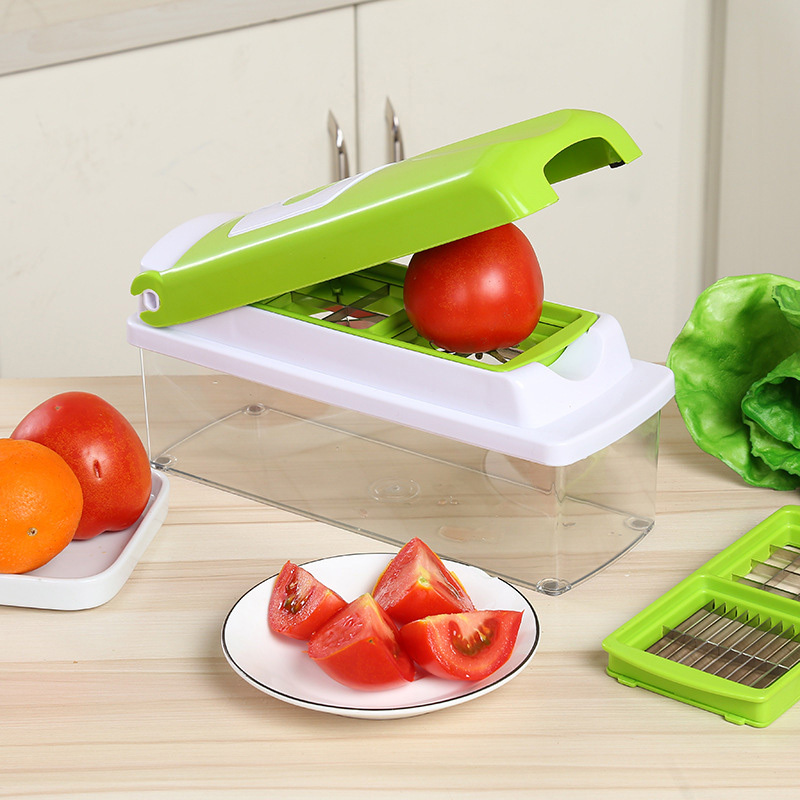 You will love the soft material on the bottom of the container, so the slicer does not scratch my countertop and it keeps container from sliding. This really cuts Your work in 75% and is amazing.